Samsung Electronics will beef up its contract-based chip manufacturing foundry business to keep up profit next year amidst softening in memory prices due to a supply glut in the global market. DRAM business, a major cash cow for Samsung Electronics, now accounts for 85 percent of the tech giant’s revenue in the semiconductor sector. A price collapse may deal a harsh blow to its entire business. But it is hopeful that its reinforced foundry business could offset the losses as demand for on-demand chips remains strong due to ever-growing big data and artificial intelligence applications. "Samsung Electronics already completed performance validation for 3 nano class process technology and is further refining the technology with a goal for mass production in 2020,” said Eun Seung Jung, head of Samsung’s foundry business at the International Electronic Devices Meeting (IEDM) held on Monday. The company’s priority task is to narrow the gap with Taiwan’s Taiwan Semiconductor Manufacturing Company (TSMC), a pure play industry leader, by further refining its 3 nano class process-on-chip technology. 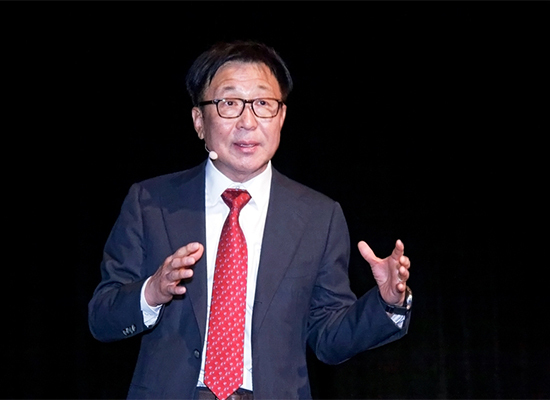 Samsung Electronics achieved the world’s first commercial production of 32, 14 and 10 nano class chips for its foundry clients, but it was outpaced by TSMC in 7 nano. "Keeping pace with the era of the fourth industrial revolution, we will expand the scope of our foundry business from simple contract manufacturing to customized design, packaging and testing business,” he stressed. Samsung Electronics has been investing heavily in the foundry business to achieve its goal to generate more than $10 billion from the contract-based chipmaking, twice more than last year’s $4.6 billion. Foundry is a business that manufactures and packages chips upon client orders. Although unrivalled in commercial chips, Samsung is ranked fourth in customized chipmaking. 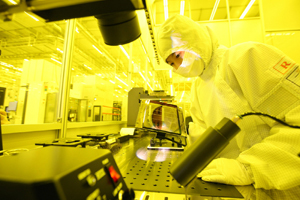 Earlier this year, it has broke ground for a foundry in Hwaseong at a cost of 6 trillion won ($5.6 billion) with an aim to start mass-production of 7 nano chips in the second half of next year. If it makes $10 billion in sales, it would be second after TSMC.